Who would think that an Italian restaurant can be found in a street stretch full of hotels, inns, and other types of accommodation? There is in El Nido through the Little Italy restaurant. Like most places within the area, shoes and anything your soles wear are not allowed upstairs. You will have to leave it below the staircase. 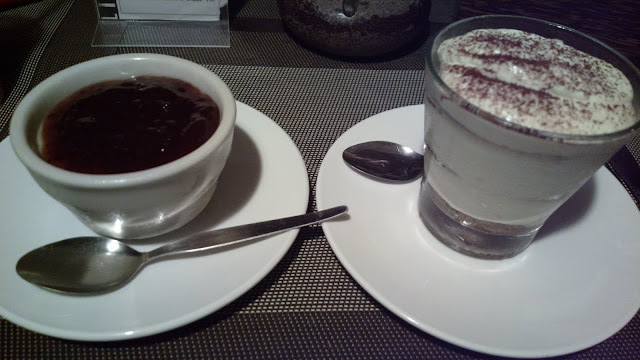 While it's supposed to be an Italian restaurant, I satisfied my hungry stomach with sweets instead. See tiramisu and panna cotta below. We did partake of something Italian at least through the satisfying serving of pizza below. 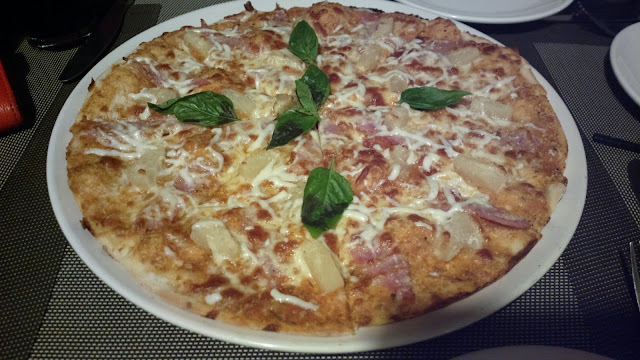 The owner/manager even came up to where we were seated and personally asked how the pizza was. I didn't see him visit other seats which were mostly occupied by foreigners though. 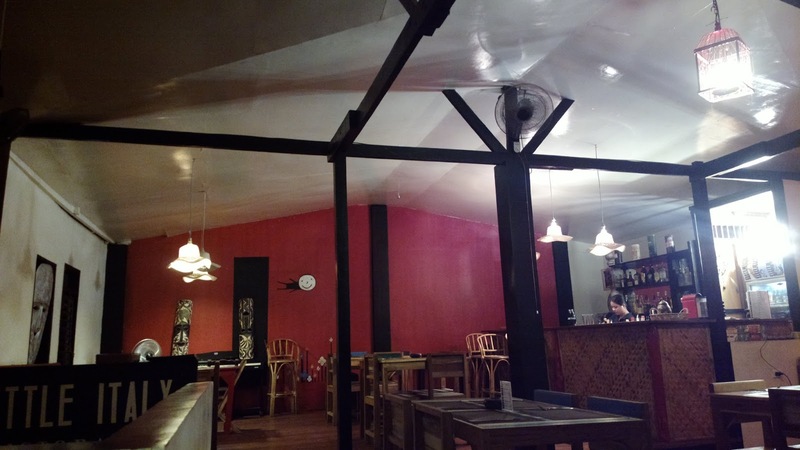 Little Italy Ristorante is located along Serena Street in El Nido, Palawan.